The history of Taoism – like that of any spiritual tradition – is an interweaving of officially recorded historical events, and the transmission of the internal experience that its practices reveal. On the one hand, then, we have the unfolding, in space and time, of Taoism’s various institutions and lineages, its communities and Masters, its hermits and sacred mountains. On the other hand, we have the transmission of the “Mind of Tao” - the essence of the mystical experience, the actual living Truth that is the heart of every spiritual path – which happens outside of space and time. The former can be recorded, debated, and written about – in articles such as this. The latter remains more elusive – something beyond language, to be experienced non-conceptually, the “mystery of mysteries” alluded to in various Taoist texts. What follows is simply a rendering of some of Taoism’s important recorded historical events. Though the first of Taoism’s philosophical texts – Laozi’s Daode Jing – wouldn’t appear until the Spring & Autumn Period, the roots of Taoism lie in the tribal and shamanic cultures of ancient China, which settled along the Yellow River some 1500 years prior to that time. The wu – the shamans of these cultures – were able to communicate with the spirits of plants, minerals and animals; enter trance-states in which they traveled (in their subtle bodies) to distant galaxies, or deep into the earth; and mediate between the human and supernatural realms. Many of these practices would find expression, later, in the rituals, ceremonies and Inner Alchemy techniques of various Taoist lineages. This period – rife with internecine warfare - gave birth to philosophical Taoism’s second and third core texts: the Zhuangzi (Chuang Tzu) and the Leizi (Lieh Tzu), named after their respective authors. One marked difference between the philosophy espoused by these texts, and that put forth by Laozi in his Daode Jing, is that the Zhuangzi and the Leizi suggest – perhaps in response to the often savage and unethical behavior of the political leaders of the time - a withdrawal from involvement in political structures, in favor of living the life of a Taoist hermit or recluse. While Laozi seemed quite optimistic about the possibility for political structures mirroring the ideals of Taoism, Zhuangzi and Leizi were distinctly less so - expressing the belief that setting oneself apart from political involvement of any kind was the best and perhaps only way for the Taoist initiate to cultivate physical longevity and an awakened mind. In this period we see the emergence of Taoism as an organized religion (Daojiao). In 142 CE, the Taoist adept Zhang Daoling – in response to a series of visionary dialogues with Laozi - established the “Way of the Celestial Masters” (Tianshi Dao). Practitioners of Tainshi Dao trace their lineage through a succession of sixty-four Masters, the first being Zhang Daoling, and the most recent, Zhang Yuanxian. * The appearance of the fang-shi. It is in the Ch’in and Han dynasties that China emerges from its Warring States period to become a unified state. One implication of this unification for Taoist practice was the emergence of a class of traveling healers called the fang-shih, or “masters of formulae.” Many of these Taoist adepts – with training in divination, herbal medicine and qigong longevity techniques – had, during the Warring States period, functioned primarily as political advisors for the various feuding statesmen. Once China was unified, it was their skill as Taoist healers that was in greater demand, and so offered more openly. * Buddhism is brought from India and Tibet to China. This begins the conversation that would result in Buddhist-influenced forms of Taoism (e.g. 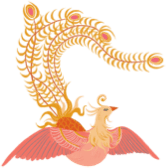 the Complete Reality School), and Taoist-influenced forms of Buddhism (e.g. Chan Buddhism). * The emergence of the Shangqing Taoist (Way of Highest Clarity) lineage. This lineage was founded by Lady Wei Hua-tsun, and propagated by Yang Hsi. Shangqing is a highly mystical form of practice, which includes communication with the Five Shen (the spirits of the internal organs), spirit-travel to celestial and terrestrial realms, and other practices to realize the human body as the meeting-place of Heaven and Earth. * The founding of the Ling-bao (Way of Numinous Treasure) tradition. The various liturgies, codes of morality and practices found in the Ling-bao scriptures – which appeared in the 4th-5th centuries CE - formed the foundation of an organized temple Taoism. Many Ling-bao scriptures and rituals (e.g. those comprising the Morning & Evening Rites) are still practiced in Taoist temples today. * The first Daozang. The official Taoist canon – or collection of Taoist philosophical texts and scriptures – is called the Daozang. There have been a number of revisions of the Daozang, but the first attempt to create an official collection of Taoist scriptures happened in 400 CE. It is during the Tang Dynasty that Taoism becomes the official “state religion” of China, and as such is integrated into the imperial court system. It was also the time of the “second Daozang” – an expansion of the official Taoist canon, ordered (in CE 748) by Emperor Tang Xuan-Zong. Court-sponsored debates between Taoist and Buddhist scholars/practitioners gave birth to the Twofold Mystery (Chongxuan) School -- whose founder is considered to be Cheng Xuanying. Whether of not this form of Taoist practice was a full-fledged lineage -- or more just a style of exegesis -- is a matter of debate among historians. In either case, the texts associated with it bear the marks of a deep encounter with and incorporation of the Buddhist Two-Truths doctrine. 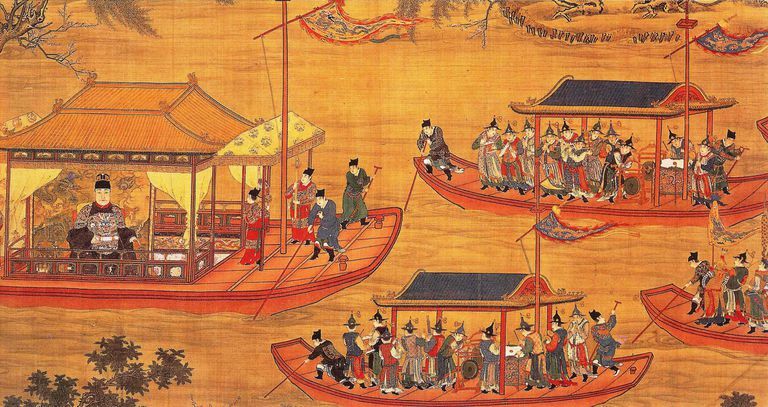 The Tang Dynasty is perhaps most well-known as a high-point for Chinese arts and culture. This flowering of creative energy gave birth to many great Taoist poets, painters and calligraphers. In these Taoist art-forms we find an aesthetic consistent with the ideals of simplicity, harmony and an attunement to the beauty and power of the natural world. What is Immortality? This was a question that received new attention from Taoist practitioners of this era, resulting in a more clear distinction between “external” and “internal” forms of alchemy. External alchemy practices involved the ingesting of herbal or mineral elixirs, with the hope of extending physical life, i.e. becoming “Immortal” by insuring the survival of the physical body. These experiments resulted, not infrequently, in death by poisoning. (A rather ironic outcome, given the intention of the practice.) Internal alchemy practices focused more on cultivating internal energy – the “Three Treasures” – as a way not only of transforming the body, but also, and more importantly, accessing the “Mind of Tao” – that aspect of the practitioner which transcends the death of the body. Read more: What Is Immortality? This period of China’s history is marked, once again, by an unsettling plethora of political upheaval and chaos. One interesting result of this turmoil was that a good number of Confucian scholars “jumped ship” and become Taoist hermits. In these unique practitioners there was embodied the interweaving of Confucian ethics, a Taoist commitment to simple and harmonious living (apart from the unrest of the political scene), and meditation techniques drawn from Chan Buddhism. * Lu Dongbin, who is one of the Eight Immortals, and is considered the father of Inner Alchemy practice. * Chuang Po-tuan – one of the most powerful of Taoist Inner Alchemy practitioners, known for his dual emphasis on the cultivation of body (via Inner Alchemy practice) and mind (via meditation). Read more: Understanding Reality: A Taoist Alchemical Classic is Chuang Po-tuan’s practice manual, translated by Thomas Cleary. * Wang Che (aka Wang Chung-yang) – founder of the Quanzhen Tao (Complete Reality School). The founding of Quanzhen Tao – today’s principle monastic form of Taoism - can be seen as an outgrowth of the political turmoil of the Five Dynasties & Ten Kingdoms Period, which (as described above) produced practitioners influenced by all three of China’s religions: Taoism, Buddhism and Confucianism. The focus of the Complete Reality School is Internal Alchemy, but includes elements also of the other two traditions. Wang Che was a student of Lu Dongbin as well as Zhongli Quan. The Ming Dynasty gave birth, in CE 1445, to the “fourth Daozang” of 5300 texts. It is in this period that we see a rise in Taoist magic/sorcery – rituals and practices focused on increasing personal power (either for the practitioner or for the Ming emperors). Taoist practices became a more visible part of popular culture, in the form of state-sponsored ceremonies, as well as via an increased interest in Taoist morality scriptures and physical cultivation practices such as qigong and taiji. The abuses of the Ming Dynasty gave rise to a kind of “critical reflection” associated with the Ching Dynasty. This included a revival, within Taoism, of more contemplative practices, whose aim was to cultivate quietude and mental harmony – instead of personal power and occult capacities. Out of this new orientation arose a form of Inner Alchemy associated with the Taoist adept Liu I-Ming, which understood the process of Inner Alchemy to be primarily a psychological one. While Chuang Po-tuan placed an equal emphasis on physical and mental practice, Liu I-Ming believed that physical benefits were always simply a byproduct of mental cultivation. During the period of the Chinese Cultural Revolution, many Taoist temples were destroyed, and Taoist monks, nuns and priests imprisoned or sent to labor camps. To the extent that the Communist government considered Taoist practices to be a form of “superstition,” these practices were prohibited. As a result, Taoist practice – in its public forms – was practically eliminated, on mainland China. At this same time, Chinese Medicine – whose roots lie in Taoist practice – underwent a state-sponsored systematization, the result of which was TCM (Traditional Chinese Medicine), a form of the medicine divorced in large part from its spiritual roots. Since 1980, Taoist practice is once again a part of the Chinese cultural landscape, and has spread widely to countries well beyond China’s borders. Read more: What Is Acupuncture? Maspero, Henri. Taoism and Chinese Religion. Amherst: University of Massachusetts Press, 1981. Miller, James. Daoism: A Short Introduction. Oxford: One World Publications, 2003. Needham, Joseph. Science and Civilization in China. Cambridge: Cambridge University Press, 1976 & 1983. Wong, Eva. The Shambhala Guide to Taoism. Boston: Shambhala Publications, 1997. What Is the Taoist Altar?